I see London, I see France, I need some fresh inspiration! Travelling Europe has always been exciting for Canadians. With so many countries contained within a single continent, one could spend a lifetime admiring historic landmarks and architecture, exploring scenic landscapes and enjoying cultural traditions. There are so many tried-and-true European destinations and activities, and so many reasons to visit. But perhaps you're looking for something more. Maybe you're seeking a location-unique experience, or a natural wonder off the beaten path. 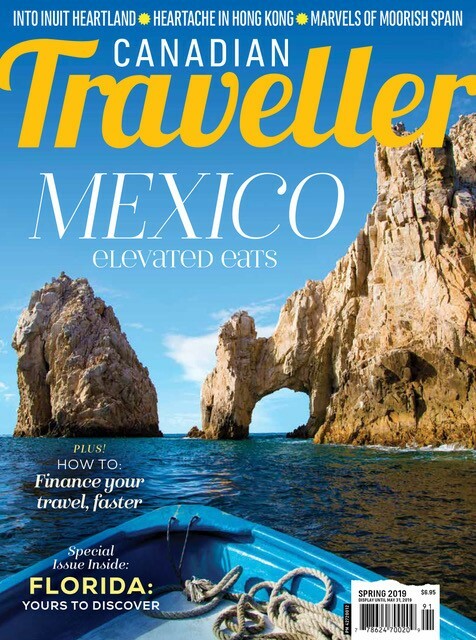 We asked the travel experts at Trafalgar to weigh in. Here are 30 things you (probably) didn't know you could do in Europe. Caution: this post contains travel inspiration and may cause itchy feet! The best prescription to alleviate this condition is to just go! 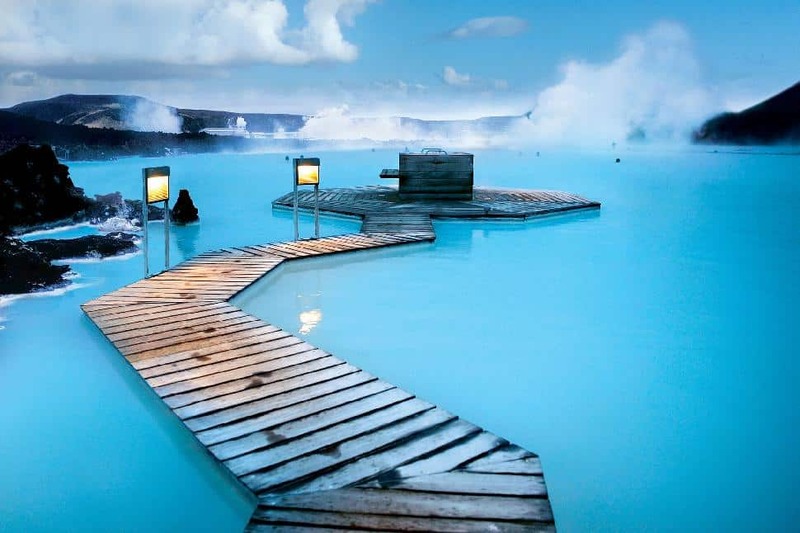 The Blue Lagoon is a man-made geothermal pool that's both eye catching and naturally restorative. That milky blue opaque colour? Created by light refracting off minerals suspending in the water. Not only are 38°C temperatures pleasant to lounge in, but silicates, algae and minerals in the mud and water benefit the skin. At just under 40 kilometres from capital city Reykjavik it makes for an easy half day trip. A word to the wise: if you're travelling on a guided trip, make sure the stop includes an actual dip. Having come this far, you'll certainly want to get more than your toes wet! 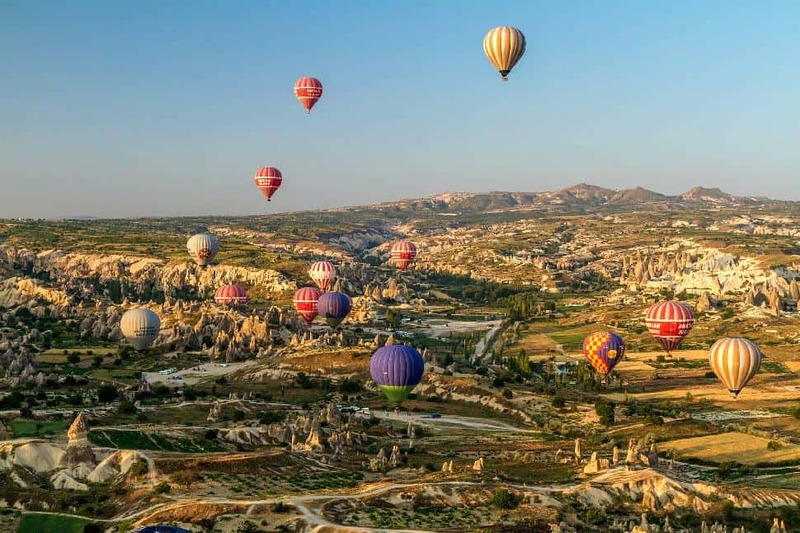 Cappadocia is a whimsical landscape that appears torn from the pages of a children’s story book. An arid landscape atop a high plateau has carved out hoodoos and fairy chimneys. Near Goreme, the large rock formations have on pointed tips, creating a truly otherworldly landscape. Located in Turkey's historical Anatolia region this area has a varied and storied past – one with Alexander the Great written into it. For a real immersion into this intriguing pocket of the world, don't stay anywhere but in an authentic cave hotel. In Northern Ireland there's an elevated stretch of road built by giants. Or so the lore goes. It's easy to imagine though, isn't it? In actual fact, 50 million years ago the area was a hotbed of volcanic activity. A lava plateau formed and once it began to cool, portions contracted and fractured. The result? Pillar-like basalt columns with varied heights. Embrace the scale of the landscape as you walk over this larger-than-life causeway. Its seaside location only serves to compound the dramatic landscape. 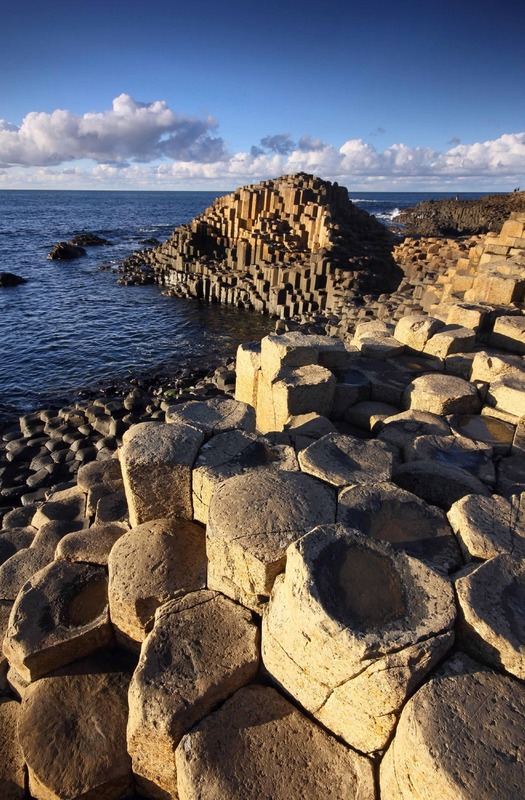 Giant's Causeway is one of three UNESCO World Heritage Sites in Ireland, and the only one in Northern Ireland. The Temple of Zeus at Olympia is famous the world over. It's been famous since Hellenic tourists heralded the Statue of Zeus (housed in the temple) as one of the Seven Wonders of the Ancient World. The statue was said to stand 13 metres (that's 43 feet!) high and was sculpted of Chryselephantine (gold and ivory). The incredible temple was constructed in mid-400 BCE and became the model for all other classical Greek Doric temples. One could flippantly say the Temple of Zeus was an iconic one. As with so many ancient temples, today it stands in partial ruin. Some 800 years after its construction it was burned by Romans and then devastated by earthquakes. Partially buried by silt and earth, the temple fell into obscurity. By the 19th century a team of French and then German archeologists initiated and carried out its excavation. Today, a group of reassembled columns stand proudly at the site. Visitors admire the grandeur of the ruins, piecing the temple completely back together in their minds. Wait, what's a (non-ink) tattoo? In a sentence: an elaborate and musical display of military showmanship. Still a wee bit confused? The origins of the tradition date back to an era when military towns performed a sort of 'last-call'. Each evening garrison drummers marched through the streets to round up the troops from the pub. At this time innkeepers were to “turn off the tap”. Over time the tattoo became increasingly showy. Eventually elaborate tattoos were put on as a sort of seasonal performance. Today, the world's most famous tattoo is held in Edinburgh. 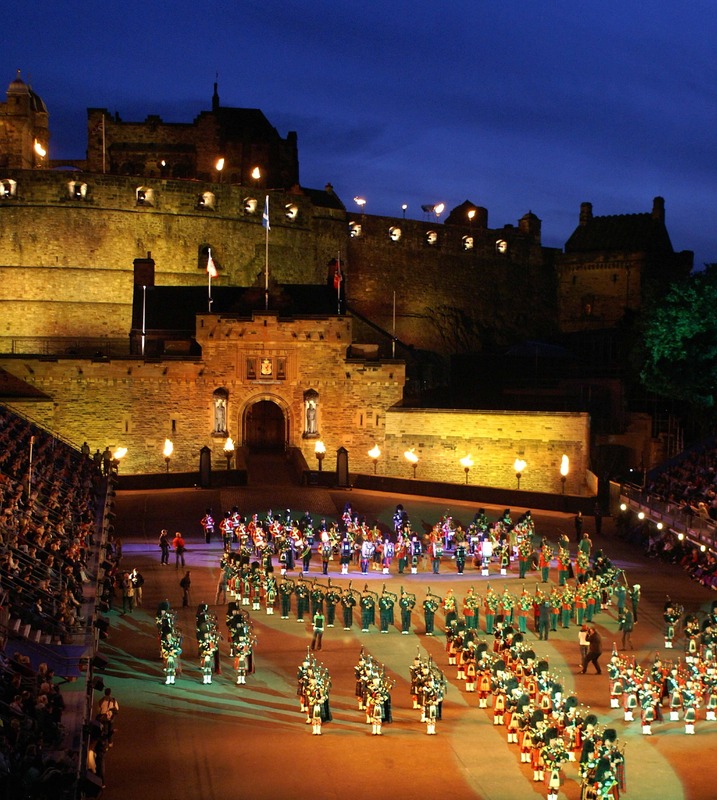 Each summer as a part of the Edinburgh Festival, the military tattoo takes place along the Esplanade in front of the Edinburgh Castle. What can visitors expect? Well naturally a lot of bagpipes! Crowds swell to over 200,000 people and fill the grand stands as military bands march down the street in regimented splendour. Nobody, repeat, nobody leaves Italy hungry. The cuisine is divine. The wine is divine. The setting is spectacular. Once you've satiated yourself on home style restaurant dining, how about donning the apron yourself? 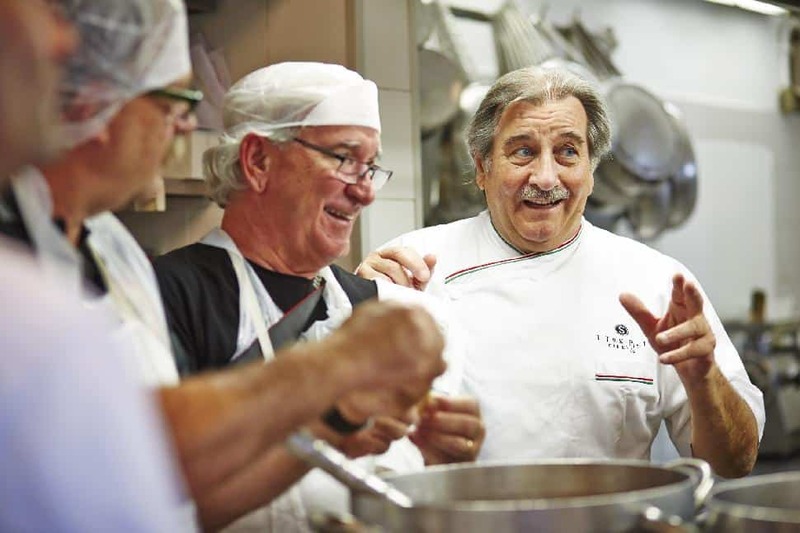 Travelling foodies will love rubbing elbows with local chefs in Tuscany. Let them lead you through local markets, offering tips on selecting produce and herbs. Follow the cooking demonstration and then cook your own entree. 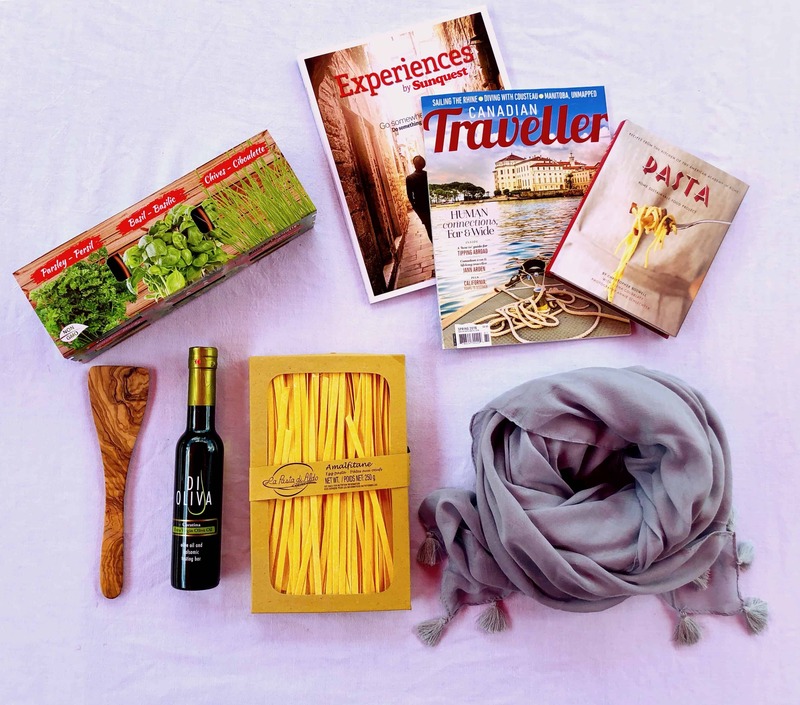 You'll love taking a bit (or bite rather) of Italy back home with you; savour the flavours for a long time to come. Italy's northern lakes district, swoon. The notion is instantly a romantic one. It's a place where the foothills of the Alps dramatically plunge into long, narrow lakes. Names like Maggiore, Lugano, Como and Garda conjure images of villas and terraced hillsides. The region is steeped with scenic views and is possibly one of the most idyllic places in Europe to make a romantic getaway. The island of Capri may attract a laundry list of famous names but it's not the flash we're lured by. 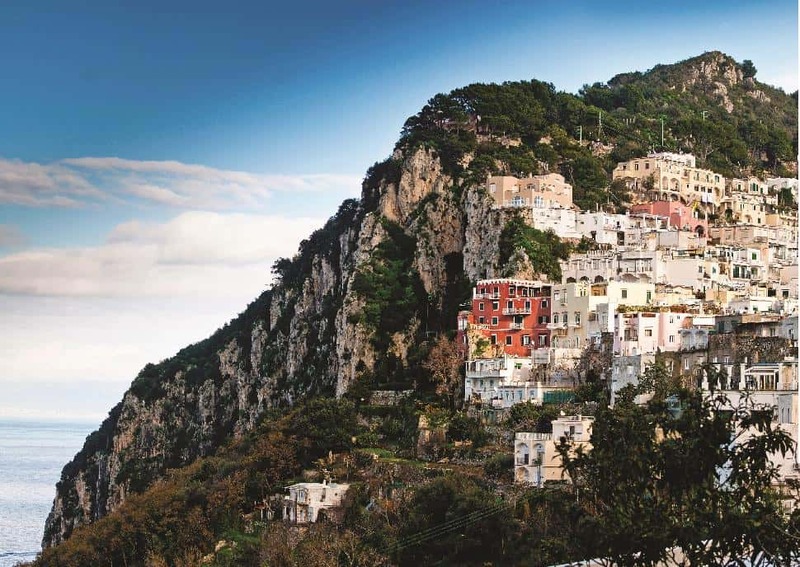 The dramatic cliffs and craggy coastline of Capri aren't only pretty to look at; they also offer many nooks and crannies to explore. From the waterline, boats nip by sea caves; the most famous of them all is Grotta Azzura. The cave merits its name. Depending on the time of day and light afforded, the water shines a brilliant hue of blue or emerald-green. The cave has a sandy-bottom floor and measures some 60 metres long and 25 metres wide. Visitors can experience the Blue Grotto by wooden rowboat – much the same as original explorers. Pass through the cave's slim one metre mouth and be enveloped by the serenity of the sparkling azure light. Ever wonder what it would be like to fight for your life in the Coliseum? Master the basics of hand-to-hand combat at gladiator school. You'll learn how to wield authentic (wooden) weapons in full warrior garb. Don a tunic, belt, and leather gloves before learning techniques for besting your opponent. 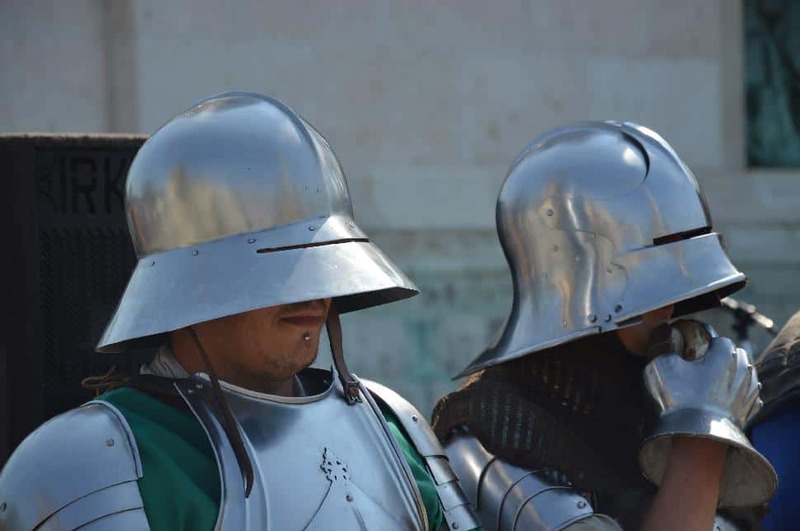 Arena instructors are Roman re-enactment experts. Game on! When visiting the Vatican one expects to see the famed Sistine Chapel and St. Peter's Basilica. The photos are famous. Michelangelo and Botticelli's artwork is shared across media and burnt into our vision of the Vatican. Crawl the web and you'll also no doubt come across stunning image. 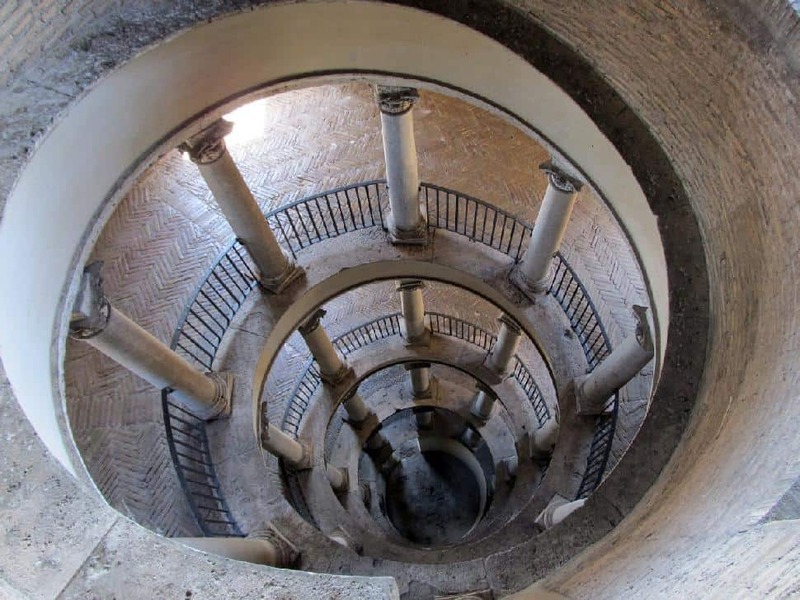 It's a photo of a double helix staircase: the Bramante staircase. While you may not know it by name, it's becoming synonymous with the papal state. However, visitors should be aware that it's usually closed to the public, unless you've got the right connections. Click here to find out how to make sure you don't miss out! When people speak of Venetian glass, they actually mean Murano glass. Glass blowing was forcibly moved from the famous canal city in 1291. The risk of fire was simply too high as exports of glass beads and mirrors exploded through Europe. The legacy of glass blowing has deep cultural roots in Murano. Craftsmen were esteemed residents, whose daughters were able to marry into Venice's most prominent families. They protected trade secrets and dominating Europe's glass production for hundreds of years. 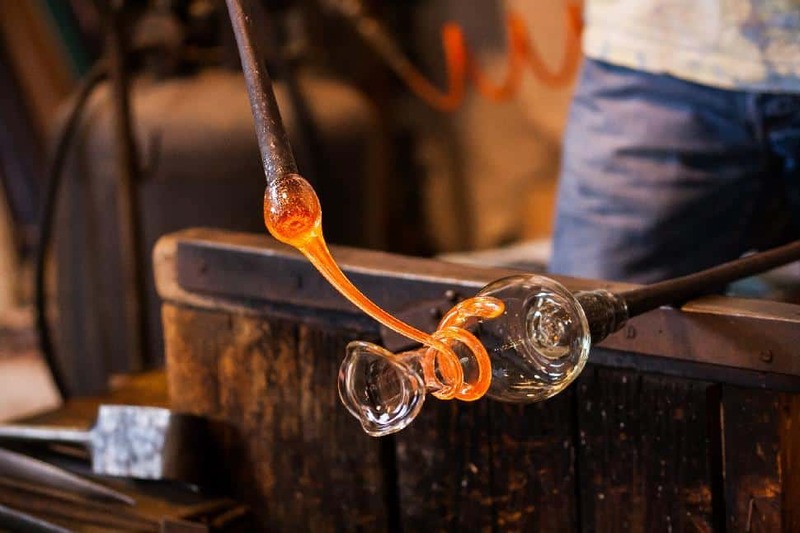 Today, visitors can step into the centuries-old world of traditional glass blowing. Watch as craftspeople artfully fashion figurines from rods of glass. Shop the colourfully lined canals, peeking into the studios and galleries. Don't leave without picking up some jewelry or home decor. We love the traditional look of Millifiori pendants. You have got to see the the Cité de Carcassonne after nightfall. Over 3 kilometres of fortified walls, dotted by 52 Robin Hood-esque towers awash in a golden-yellow. The castle at Carcassonne is story book. A UNESCO World Heritage Site, it could easily be the setting of a fairy tale. Strolling the fortress, visitors feel as if they've just planted two feet in the Medieval era. While the city is enjoyed by all ages, we suspect the young ones will be just enthralled. Twice daily visitors can watch jousting performances. Sound a bit kitschy? It's not. Skilled horsemen navigate their noble steeds in a seriously combative demonstration. If the occult intrigues you, don't miss the Torture Museum. It's a small collection but trust us, you'll be thoroughly spooked. If your vision of Scotland is one of sweeping emerald hills, it's the Isle of Skye you're picturing. The landscape is dominated by the Cuillin mountain range, offering raw beauty that greets expansive blue skies. Water flows from higher terrain, pouring over falls into fairy-like pools. May we go so far as to describe it as an untouched natural utopia? 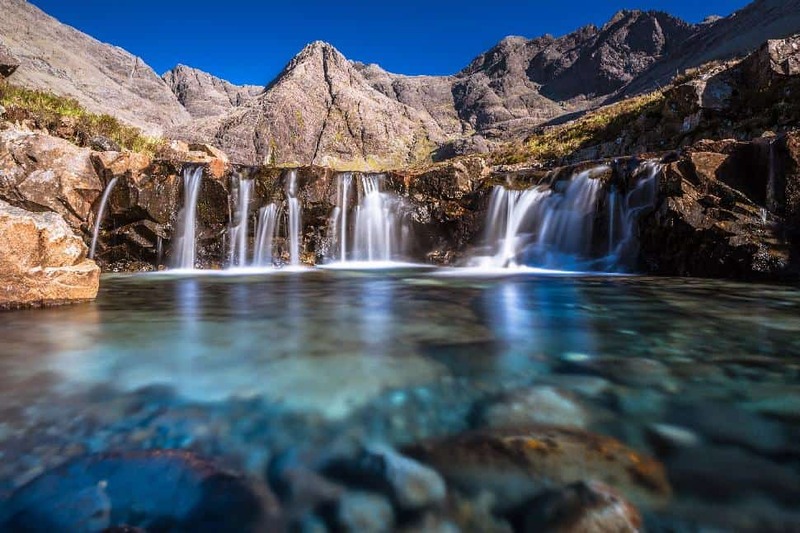 We could wax-poetic about Isle of Skye but the images say more than we ever could. Discover the inside-out outdoor gardens at Sissinghurst Castle. What do we mean? Arguably England's most famous gardens, Sissinghurst is a series of botanical rooms formed by walls and hedges. Pass through archways and discover the themes of each. Stroll the formal gardens, the white garden, the cottage garden and onward. The very design of the gardens fosters a sense of discovery. You'll be thinking what next? for the duration of your visit. The gardens were a labour of love by Vita Sackville-West and her husband Harold Nicolson. They date back to the 1930s and are nothing less than the epitome of the mid-20th century British garden. The castle itself has an interesting history – transforming from prison to housing the women's land army to residence. Views afforded from its upper levels afford unique views of the garden and the 450 acres of surrounding estate. Sparsely inhabited, historic and scenic. These are the Scottish Highlands. The region's beauty was recently featured in the James Bond blockbuster Skyfall. One could hardly ignore the breathtaking scenery and mysticism on screen. Explore the vacant and magical beauty of the area for yourself. 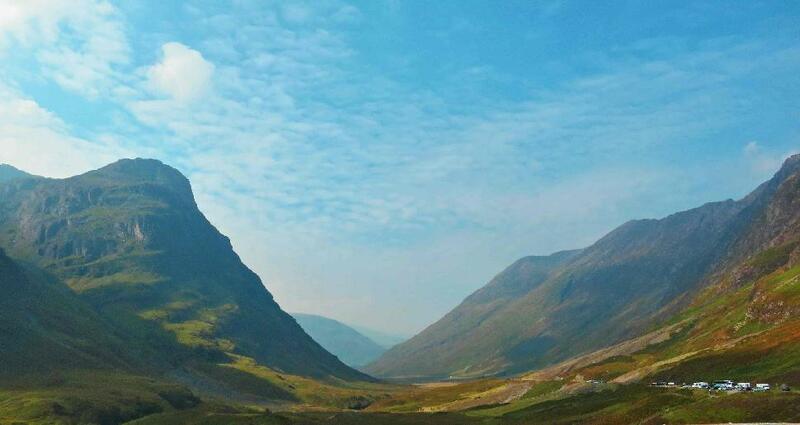 The highlands are littered with glens: long, deep valleys carved out by glaciers. The Scots treasure them for their tranquillity and splendour. They're a perfect place to find inspiration or reflect. While in the highlands, journey along the bonnie banks of Loch Lomond, immortalized in Scottish song Glen of the Weeping. Pass by Fort William at the foot of Britain's tallest mountain, Ben Nevis. And lastly, don't miss the famous viaduct at Jacobite Rising which you may recognize from Harry Potter films. When I visited Vimy Ridge I never expected to feel as emotional as I was. Living in a Canada largely unscathed by bloody wars, it's hard to conceive of such conflicts simply from textbooks and school lessons. Retracing the ground where Canadians fell transcending me out of my holiday. It gave me a heightened sense of gratitude, which I carry with me every day. Visiting the historic Normandy D-Day beaches will no doubt have the same effect on most Canadians. Listen to the haunting Last Post at Menin Gate. Lay a wreath in memory of fallen soldiers, visit their memorials and walk the grave markers in Bayeaux Cemetery. 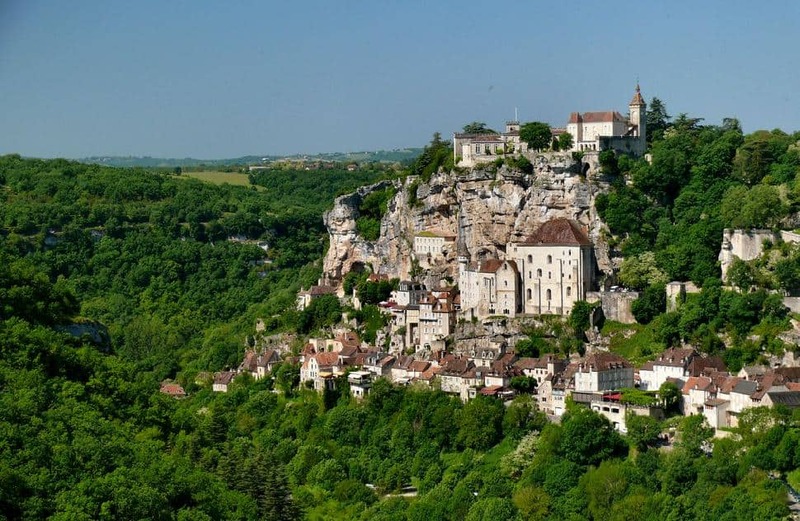 Hugging the cliffs, Rocamadour sits perched precariously above the River Dordogne. The town is a mix of monasteries and pilgrimage churches. Narrow pathways and flights of stairs weave through the complex. At Rocamadour's heart lies the church of Notre Dame. It's home to the town's most famous draw: the wood-carved Black Madonna. When you've admired the architecture and filled up on historic relics, it's time to sample a well-known export. In the same way Congnac must originate from Cognac, only Rocamadour goat's cheese can originate from Rocamadour. Have a when-in-Rome moment and enjoy a morsel (or two, or three) fresh at the origin. Game of Thrones fans will recognize the historic farmyard at Castle Ward as the mythical setting of Winterfell. In the same yard you'll find the replica Winterfell Archery Range. Dress up in character costume and let the arrows fly. What makes Castle Ward notable itself is its dual architecture. Designed by Lord Bangor and his wife, this may be the perfect example of 'agree to disagree'. Half of the manor is classical Palladian style, marked by a signature triangular roof gable. The other facade is Georgian Gothic, embellished with pointed window frames and decorative finials. Be transported back to the 19th century while exploring Castle Ward's elegant interiors and the estate's manicured gardens. A reclusive king wanted to build a place of solitude in Bavaria. Enter Neuschwanstein Castle. This 19th century castle couldn't remain under the radar for long though. Sitting well above the tree line, the castle is one of Disney dreams. Literally. 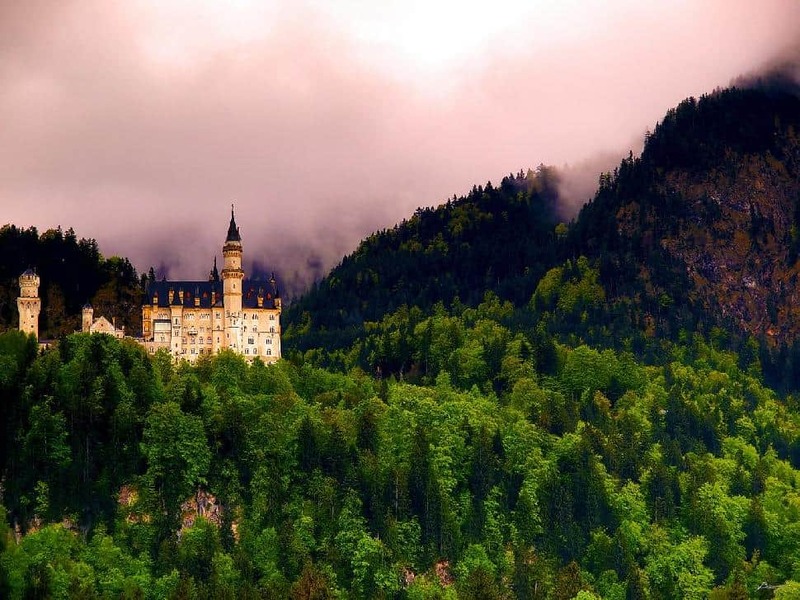 Constructed in Romanesque Revival design, Neuschwanstein was the inspiration for Disney's Sleeping Beauty. The castle is remarkably handsome. White walls contrast against a dark roof, accented by decorative cornices and pinnacles. In order to tour the castle's ornate interior, visitors must participate with a guided tour. Don't settle for just admiring the fairy tale exterior; plan accordingly! The Habsburgs were among the world's most powerful and longest-reigning families in Europe. Imagine the artwork and collection of treasured items gathered during centuries-long rule. Visitors to Vienna's Kunsthistorisches Museum can admire hundreds of their coveted artifacts. Some of the treasures counted among the Habsburg Royal Collection of Art include arms and armour, Greek and Roman antiquities, court costumes, horse-drawn carriages, sculpture and paintings by legendary painters. The Kunsthistorisches Museum also contains relics and insignia of the Holy Roman Empire and Ancient Europe. Our insider tip: travelling on a Trafalgar itinerary will get you exclusive and crowd free entry; admire the works before it's even open to the public! When you're the head of the Roman Empire, preparing to retire means building a palace, obviously. 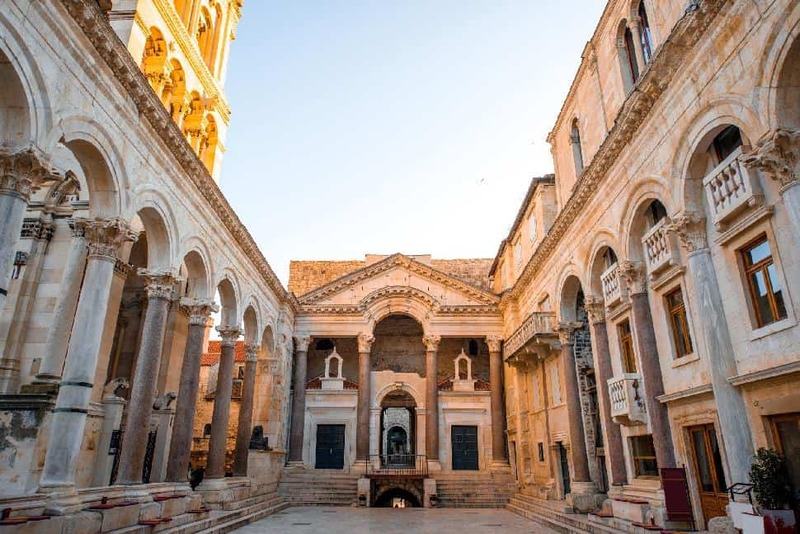 Diocletian's palace isn't the most ornate or spectacular. The military garrison housed within its walls resulted in a more fortress-like aesthetic. However, the way in which the city of Split has grown around the palace is wholly unique. In fact, it forms the city's core. Today there are restaurants and shops contained within the space. While it's free to poke around the 'ruins' don't miss the excavated remains of the basement. Located at the water's edge, the basement hall was strategically constructed as an escape route by sea. Picture yourself fleeing through the tunnels and into an awaiting boat. Did you know that hundreds of people walk to Santiago de Compostela on a daily basis? Do you know why they do? Only with some local expertise will you discover the haunting atmosphere and significance of this city. Home to a vast Cathedral and the Praza do Obradioro public square, Sanitago de Compostela was made a UNESCO World Heritage Site in 1985. Won't you retrace some of the famous route yourself? There's a line in the Great Gatsby that has never left me: “After that I lived like a young rajah in all the capitals of Europe – Paris, Venice, Rome...” Gatsby, or writer F. Scott Fitzgerald rather, makes mention of Europe's perennial favourites, but it's the rising Eastern cities that have captured our attention. Especially Budapest. With its river frontage and gorgeous architecture, Hungary's capital city is often dubbed the “Paris of the East”. Walk the cobblestone streets of old Buda while absorbing the youthful atmosphere. Catch an aerial city views from the lookout towers of the Fisherman's Bastion. Not all luxe accommodations take the form of sparkling marble hotels. Sometimes they're rustic and authentic. And in the Swiss hills overlooking Lake Lucerne they're traditional style chalets. If you've ever dreamed of a quintessential Swiss holiday, this is the nation's rolling green heartland. It's also a place to enjoy equally in all seasons. Keep cozy in winter with a fondue or raclette. In summer there's no way to best beat the heat than at the lake's shore. While you're in the area, don't miss Lucerne's famous Lion Monument and wooden Chapel Bridge. This glacial lake epitomizes the name 'Iceland'. What's so remarkable about it? The lake is literally filled with icebergs. It was formed when a glacier once sat at the edge of the Atlantic Ocean. Slowly it began to melt, retreating inland. Freshwater melt pooled in the crevice that was left behind, creating Jokusarton. 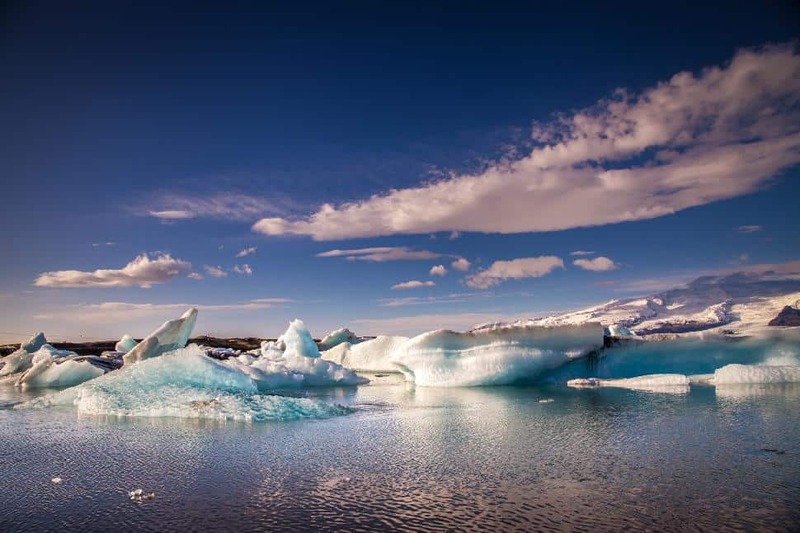 The glacier's retreat is also responsible for the icebergs. The lagoon has such an Arctic feel to it is often used in TV and film. Look for it in Bond films A View to Kill and Die Another Day, Batman Begins, Lara Croft: Tomb Raider, and the Amazing Race. Visitors can explore Jokusarton Glacial Lagoon on amphibious vehicles. Keep your camera handy and eyes peeled for wildlife. These days train travel is too often simply viewed as transportation. Rail travel in Switzerland is an entirely different case. Known for their timepieces, the Swiss keep precise schedules. Trains depart (and arrive) promptly and are the pinnacle of comfort. What's more, the central and southern cantons of this compact nation are characterized by high mountains peaks and passes. For passengers, travel here is less about getting from Point A to Point B, and more about taking in the stunning vistas. There are several popular scenic routes, but Brunig to Lucerne is our favourite underrated trips. Weave through meadows dotted by cattle and peaks crowned by high alpine villages. The Brunig-Lucerne route is part of the Golden Pass, which connects Lucerne to Lake Geneva. Visitors will love the ultra-modern carriages that sport broad windows extending to the roof. The sky is literally the limit. Look far past the islands of Santorini and Mykonos, and deep into Greece's hinterland. 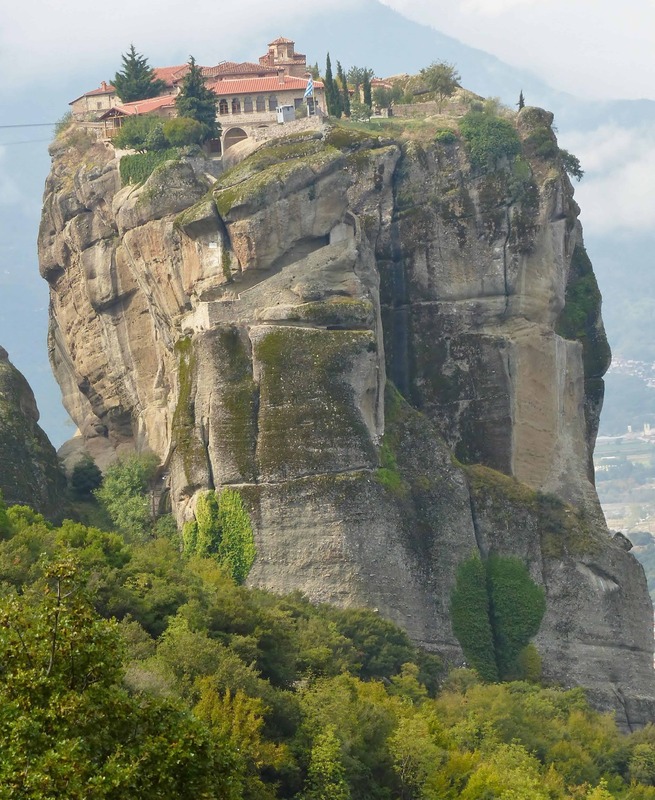 Upon pillars of sandstone sit the six Greek Orthodox monasteries of Meteora. How did they come to be? Hermit monks were the first to inhabit the rock towers, though their primitive shelters were caves and hollows. They only congregated to worship. Construction of the monasteries began around 1100 AD. Accessing them was intentionally difficult, and for good reason. The location offered refuge from the political turmoil that plagued the era. In some cases a series of ladders, ropes and nets had to be scaled to reach the monasteries. Provisions were purveyed up and down cliff sides by a series of baskets and ropes. Luckily, today's visitors face less perilous routes. The monasteries can be accessed along pathways. To truly experience Meteora, exploring by foot with an expert guide is our best recommendation. A time stamp of the era, the Seven Sisters stand stoically in Russia's capital. What are the seven sisters? They're a handful of skyscrapers built between 1947 and 1953. 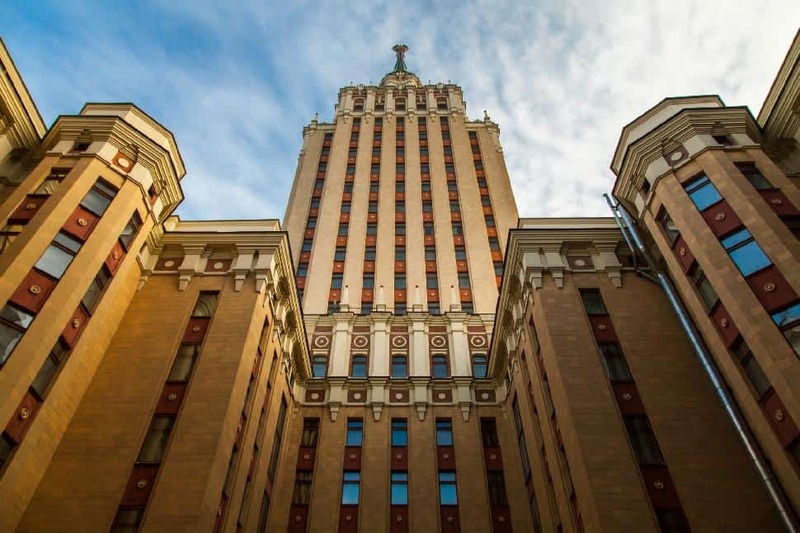 One of the infamous towers is occupied by the Hilton Moscow Leningradskaya Hotel. Location-unique accommodations rarely come more authentic than this. The hotel is a relic of a by-gone era when socialist ideology crossed architecture. It's quintessential Stalin Classicism with elements of Baroque, Gothic and Russian Orthodox. When it opened in 1954 Leningradskaya was counted among the finest luxury hotels in Moscow. In 2008 it was acquired and renovated by Hilton, however longstanding features that earned it historic landmark status were preserved. One such element? A six-storey bronze chandelier, the longest of its type in the world. Visitors looking to sleep in one of Moscow's grand hotels will jump at the chance to stay here. This round-up was brought to you by our friends over at Trafalgar. What can you expect on a guided vacation? Hassle-free holidays, insider experiences, comfort and meeting amazing locals. Why, when or where: guided tours or going it alone with independent travel?